Sir Chris is excited to announce the publication of his first non-fiction book, On Your Bike, today (20 October 2016). On your Bike is an illustrated, comprehensive guide for children to choosing, maintaining and making the most of their bikes with top tips and tricks from Olympic cycling champion Sir Chris Hoy. The book will encourage children to have fun cycling, keep safe, and record their cycling adventures. This entertaining and informative book will teach children all they need to know about the wonderful world of cycling. Using the Flying Fergus characters (illustrated by Clare Elsom) to assist Sir Chris in teaching children about bikes, and a scrapbook-style collage of nostalgic snapshots from his own childhood on a bike as well as technical drawings, diagrams and practical photography, this book draws on the Olympic champion’s wealth of expertise in a fun, friendly and accessible format. The book also features access to bonus step-by-step videos of Sir Chris demonstrating key tips and tricks. British Cycling and HSBC UK have today announced a partnership that will see HSBC UK become the new Lead Partner of British Cycling for the next eight years. The partnership will start from January 1st 2017 and seeks to embrace communities nationwide. 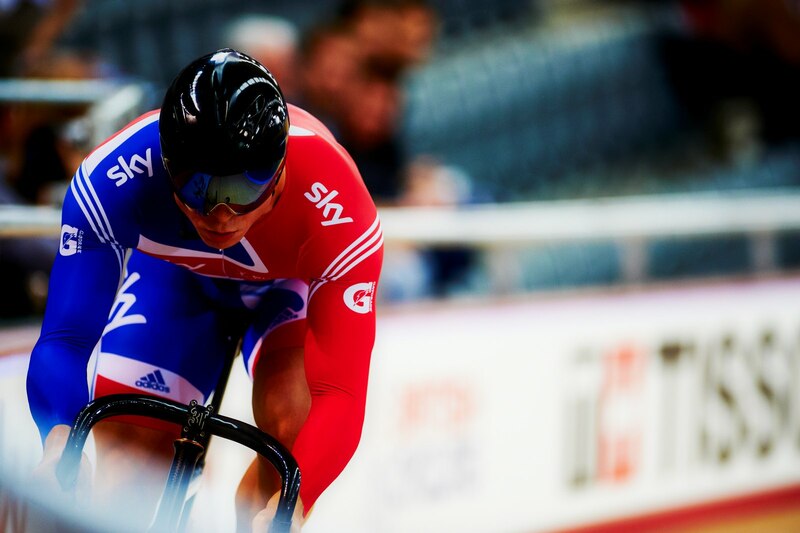 HSBC UK will work with British Cycling across the sport from participation at grassroots level and major organised cycling events through to the highest level of performance with the Great Britain Cycling Team. British Cycling and HSBC UK will deliver events and programmes across local communities, towns and free to enter mass participation events to get millions of people on their bikes. The partnership will be closely aligned to the Government’s new Sporting Future Strategy which sets out physical wellbeing, mental wellbeing, individual development, social and community development and economic development as measures by which sporting success will be defined by in the future. Phil Smith, Sport England’s Director of Sport, said: “From grassroots through to the highest level of performance with the Great Britain Cycling Team, the HSBC UK and British Cycling commitment to the whole sport is ambitious and impressive. Sir Chris realised a lifelong dream today (19 June 2016) when his Nissan-powered Algarve Pro Racing entry took the chequered flag at the Le Mans 24 hours. Team mate Andrea Pizzitola took the finish line in the No.25 Ligier chassis, bringing the team home 17th overall and 12th in class. A BBC2 documentary crew have been following Chris on his three-year journey with Nissan, culminating at Le Mans. The programme will air on 9 October 2016 at 8:00pm (UK time). “Just when you think you’ve seen everything a race has to offer. Right at the death of the race, you see something else happen,” Chris said. “Incredible. The Toyota pulls over, the disappointment, heartbreaking scenes in their garage ,the delight in the Porsche garage…… an amazing race. “And for us, to see Andrea crossing the line, to see everything that meant for the team was amazing. “Thinking about starting out at Oulton Park doing track days, sitting for my test….the whole journey to get here. There were times when I didn’t think it was going to happen and I thought – a bit like the Olympics, – thinking even if you don’t make it, you might get half-way and do something exciting. “But even with this I thought I’d got to race British GT and European Le Mans series last year and test the LM P2 car last year so I’d already done something great. HOY Vulpine, the collaborative brand brought to life by high-end British apparel success story Vulpine, and Sir Chris Hoy, have launched a limited edition Palmarès range. The black aero jersey features six gold bands and a single silver band, representing Hoy’s unrivalled successes on the track. Gold foil HOY Vulpine logos and a gold authenticity tab complete the Palmarès’ modernist design. ‘Palmarès’ is the French word commonly used in cycling to describe the greatest victories and honours of an elite cyclist’s career; hence the six gold and single silver bands. Hoy also wore one of his original competition helmets and visors, and rode his own custom made steel HOY track bike, built as a one off by Scottish frame builder Shand. Handbuilt by Steven Shand from Columbus Max tubing, this too sports the 6 gold, 1 silver bands motif. The limited edition male and female Palmarès Jerseys are priced at £115, with the Palmarès Cap costing £15. Both items are only available as limited edition items from vulpine.cc, until sold out. Following the resignation yesterday of British Cycling’s Technical Director Shane Sutton, I wanted to make the following statement. A lot has been written about Shane Sutton and British Cycling in the media in recent days. Given the seriousness of the allegations of discrimination, I welcome the independent investigation to be conducted by UK Sport and look forward to contributing if asked to do so. I encourage everyone with an interest in the future of British Cycling to do the same. I’ve no intention of providing my opinion on the allegations through the media. With our best cyclists less than 100 days away from competing in the most important event of their careers, all those with something to say need to do so in the right environment and allow our fabulous riders to finish their Olympic and Paralympic preparations without this distraction. I think Andy Harrison will do a great job taking over the technical director role and leading the team in Rio. I do want to pay tribute to Shane for what he’s achieved for British Cycling and for me personally over the years. I have never met anyone who gave so much to their role within any team and who cared so much for the performance of the riders. Shane expected 100% commitment from every member of the team regardless of their role and he led by example in that respect. As a coach, his uncompromising approach yielded unparalleled results for the GB team and his contribution to my career and the entire British Cycling success story was outstanding. For this, I would like to sincerely thank him. It’s important to recognise that all of British Cycling’s success is due to the combined effort of a huge number of people. There is a magnificent support team of coaches and other personnel who provide their expertise and passion to allow the riders to get the best out of themselves. That team remains, and I for one can’t wait to proudly watch our Olympic and Paralympic riders representing Great Britain in Rio. Let’s all get behind them.